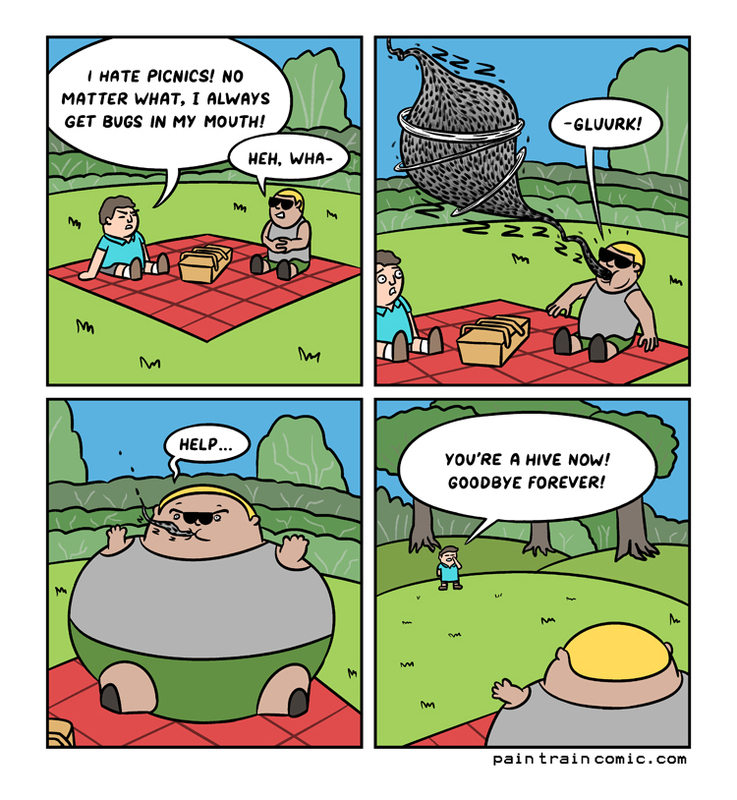 Two bros on a picnic. Hey do you like podcasts? I listen to My Brother, My Brother and Me every week. It is always good.